It was like a scene out of the Oscar-winning epic “Lawrence of Arabia.” But, instead of Peter O’Toole riding on camelback across the Arabian Peninsula, 11 board members of the Asian Development Bank were making their way from Beijing through the Gobi desert to Ulaanbaatar, Mongolia. It was June 2015, and the group crossed the largest desert in Asia over four days, sleeping in yurts along the way. They did travel by camel and horse, but mostly by Land Rover, led by Dr. Robert M. “Skipp” Orr, the U.S. ambassador to the ADB and the dean of its board. Yes, they could have taken the routine 2.5-hour flight to get to their destination, but Orr had another idea. The Gobi journey illustrates Orr’s personal mantra in action: Never place limits on yourself or what you can do. At 64, he can look back on a diverse career spanning the globe and impacting the worlds of government, higher education and business. Yet very real limitations defined his early years. Orr had such severe asthma as an infant that upon his doctor’s recommendation his parents pulled up roots and moved from New York to sunny Florida. Then at the age of two, he developed Legg-Calvé-Perthes disease, a rare childhood hip disorder. Until his recovery three years later, he couldn’t walk without leg braces. The asthma was gone by elementary school, and he hasn’t stopped since. Orr started his career in 1976 as a legislative assistant for U.S. Rep. Paul G. Rogers (D-FL). After serving on the House Foreign Affairs Subcommittee on Asia and Pacific Affairs, he was appointed to the U.S. Agency for International Development in the Department of State, again with a focus on Asia. He transitioned into higher education in 1985 and held professorships at Stanford and Temple universities as well as serving successively as director of the Stanford Japan Center in Kyoto and Temple’s Institute of Pacific Rim Studies. 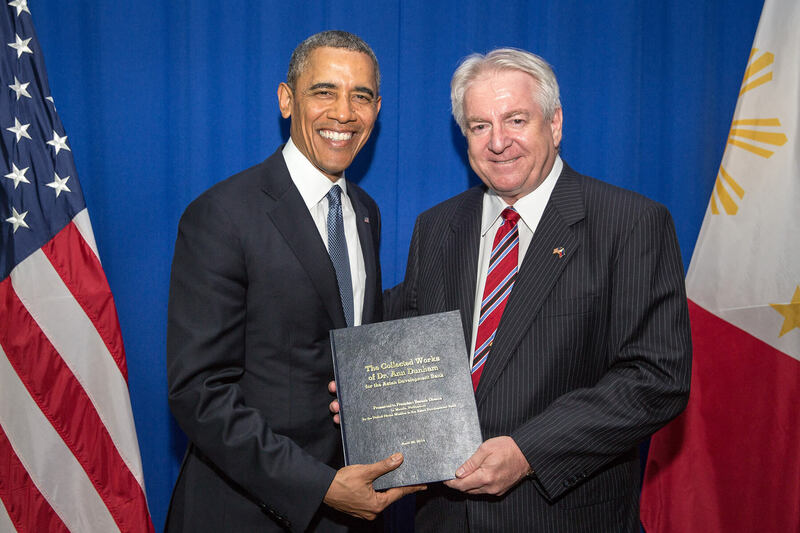 During President Obama’s 2014 visit to the Asian Development Bank, Ambassador Robert M. Orr presented him with a book that Orr had compiled of papers written by Obama’s mother, Dr. Ann Dunham, an anthropologist and one-time consultant for the ADB. His move into the business world began with Motorola in 1993. He opened the cellular phone market in Japan and held several senior-level positions, culminating in the role of vice president and director of European affairs, based in Brussels. Enter President Barack Obama, who when Orr met him, had yet to become a U.S. senator. Orr was visiting Chicago as head of Boeing Japan and had arranged a lunch with local leaders. 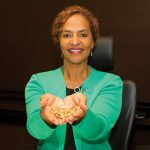 The auspicious meeting led to Orr being confirmed by the Senate as United States executive director with rank of ambassador to the Asian Development Bank in 2010. He was President Obama’s longest serving appointed ambassador in one post, staying until 2016. 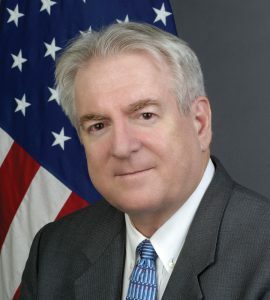 Orr was unanimously elected dean of the ADB’s Board of Directors in 2013, the first American chosen for the position. Being a U.S. ambassador was, by far, his most personally rewarding assignment. Orr grew up mostly in Florida and graduated from Atlantic High School in Delray Beach, where he was a champion 800-meter runner. He began focusing more on academics in his senior year and after graduation, spent a year in West Berlin, staying with relatives and attending the 13th year of high school, which was the practice in Germany then. His German got so good that he was hired as an interpreter for the 1972 Summer Olympics in Munich. 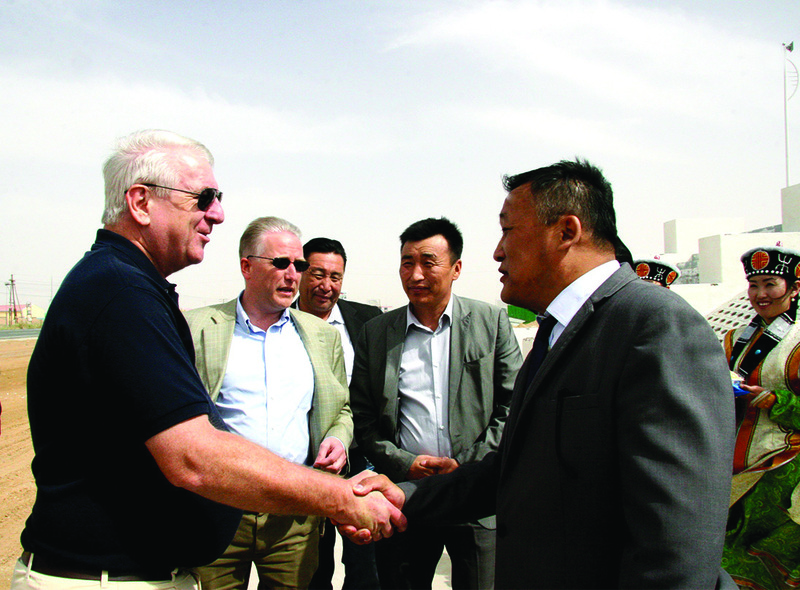 On his 2015 journey from China to Mongolia, Ambassador Robert M. Orr was greeted by the Governor of Lower Gobi Province. At every provincial border crossing, Orr and his ADB colleagues were warmly received by a local delegation. He earned his bachelor’s degree in history from FAU, a master’s in political science and government from Georgetown University and, after achieving fluency in Japanese, a Ph.D. in political science from the University of Tokyo. He wrote his dissertation in both English and Japanese, and it became the basis of his book, “The Emergence of Japan’s Foreign Aid Power,” which won the 1991 Masayoshi Ohira Memorial Prize for best book on the Asia-Pacific. 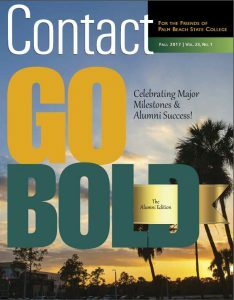 He received FAU’s Alumni Talon Award in 2016. Today, Orr serves on various boards, writes, consults and keeps in touch with colleagues. 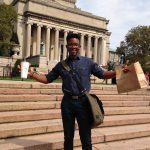 Recently he returned to the ADB for a meeting and was pleasantly reminded of the importance of creating a strong social network that’s not only about doing business. Suffice it to say Orr never followed a traditional career roadmap. “Most folks think if they’re going to be CEO of a company, they have to have an engineering degree or an MBA. My message is ‘not necessarily.’” It all comes back to his “no-limits” approach to life.